EIBIR’s coshareholders are represented at the General Meeting, where major strategic decisions are taken and recommendations are developed for EIBIR’s other bodies and initiatives. Each shareholder organisation is also invited to nominate a representative to stand on EIBIR’s Scientific Advisory Board. 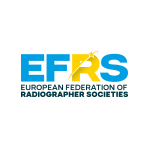 The European Society of Radiology is an apolitical, non-profit organisation, exclusively and directly dedicated to promoting and coordinating the scientific, philanthropic, intellectual and professional activities of Radiology in all European countries. 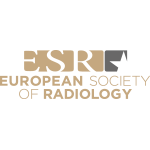 The Cardiovascular and Interventional Radiological Society of Europe is a non-profit, educational and scientific association representing physicians and scientists who are interested and strongly involved in Interventional Radiology and cardiovascular imaging techniques. 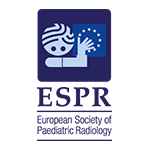 The European Coordination Committee of the Radiological, Electromedical and Healthcare IT industry with headquarters in Brussels, is a non-profit trade association representing the medical technology industry in Europe. 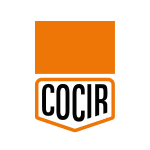 COCIR’s aim is to represent the interests and activities of its members and act as a communication channel between its members and the European institutions and other regulatory bodies. 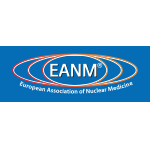 The European Association of Nuclear Medicine is the umbrella organisation of nuclear medicine in Europe and represents the sector towards the European institutions. It aims to advance science and education in nuclear medicine for the benefit of public health. 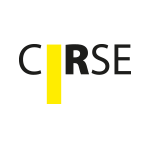 It also promotes and coordinates discussion and exchange of ideas and results relating to the diagnosis, treatment, research and prevention of diseases through the use of unsealed radioactive substances and the properties of stable nuclides in medicine. The European Federation of Organisations in Medical Physics currently has 34 national organisations and three affiliated national organisations which together represent more than 5000 physicists and engineers in the field of Medical Physics. 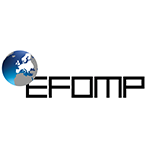 The mission of EFOMP is to harmonise and advance medical physics at an utmost level both in its professional clinical and scientific expression throughout Europe, and to strengthen and make more effective the activities of the national member organisations. 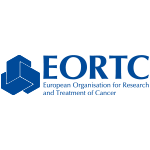 The European Organisation for Research and Treatment of Cancer with headquarters in Brussels is both multinational and multidisciplinary, with the present EORTC Network comprising over 300 hospitals or cancer centres in more than 30 countries. The aims of the EORTC are to develop, conduct, coordinate, and stimulate translational and clinical research in Europe to improve the management of cancer and related problems by increasing survival but also patient quality of life. 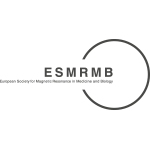 The European Society for Magnetic Resonance in Medicine and Biology was founded in 1984 as a platform for clinicians, physicists and basic scientists with an interest in the field of MR. It aims to support educational activities and research in the widest sense in the field defined by the Society’s name. The European Society of Paediatric Radiology was founded to organise and bring together physicians involved in the field of paediatric imaging, to contribute to the progress of paediatric imaging, particularly within but also outside Europe, and to encourage training and education with other branches of medical imaging and paediatrics in clinical, scientific, education and research fields. The European Society for Radiotherapy and Oncology is a non-profit and scientific organisation that fosters the role of Radiation Oncology in order to improve patients’ care in the multimodality treatment of cancer. 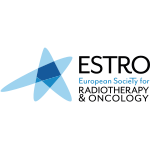 With over 5000 members in and outside Europe, ESTRO supports all the Radiation Oncology professionals in their daily practice: Radiation Oncologists, Medical Physicists, Radiobiologists and RTT (Radiation TherapisTs) and the wider oncology community. ESTRO’s mission is to promote innovation, research, and dissemination of science through its congresses, special meetings, educational courses and publications. The European Society of Medical imaging Informatics (EuSoMII; formerly EuroPACS) is a non-profit and scientific organisation founded in 1984, affiliated to the European Society of Radiology, that promotes the integration of information and communication technology with diagnostic and therapeutic medical imaging, in a multidisciplinary environment. 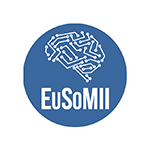 The mission of EuSoMII is to foster the transition from research to clinical application and education in imaging informatics.